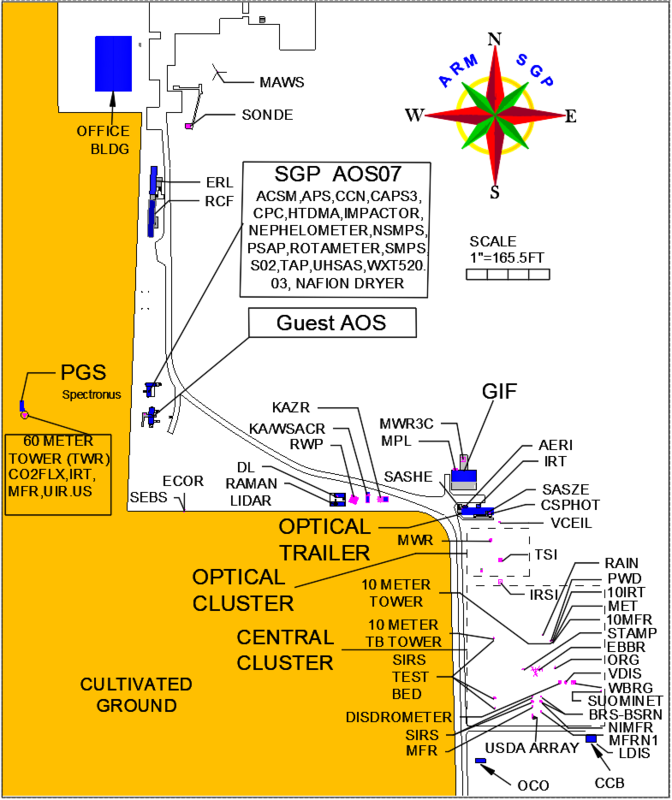 Proposals are accepted from members of the scientific community for conducting field campaigns using the ARM user facility. The annual facility call for campaign proposals is open December 1, 2018, to April 5, 2019. An early online release of the DOE-sponsored ARM Mobile Facility Workshop Report is available now for those interested. Note: ARM will consider proposals to fly guest instruments on tethered balloon systems at Oliktok Point, Alaska, or the Southern Great Plains (SGP) atmospheric observatory. Flights will take place in late summer (August) at Oliktok, or summer or fall at the SGP. Submit by March 15 to be considered. ARM provides the scientific community with the operational and logistical resources to conduct field campaigns using the ARM observatories that focus on advancing research in support of the ARM mission. Priority will be given to proposals that make comprehensive use of ARM facilities, focus on strategic goals of the DOE Office of Biological and Environmental Research (BER), and have the ability to improve regional or global earth system models. Proposals that coordinate with other BER community capabilities, such as the Environmental Molecular Sciences Laboratory, AmeriFlux Network, Next Generation Ecosystem Experiments in the Arctic and Tropics, and Energy Exascale Earth System Model, are encouraged. Please give ample lead time for your campaign proposal submissions. The timing for submitting a proposal depends on the size and complexity of the proposal (e.g., a small campaign can take up to 10 weeks from submission to implementation). Refer to the Field Campaign Guidelines document for the full campaign process, including estimated time frames needed for reviews, roles and responsibilities, and contact information. Small Campaigns – These campaigns cost ARM less than $300k and may include deployment of guest instruments at ARM observatories, use of instruments for offsite deployments, or special operations, such as enhanced radiosonde or special scanning strategies. Annual Facility Call Campaigns – These campaigns typically exceed $300k cost to ARM and include a large fixed-location atmospheric observatory campaign, and/or deployment of ARM mobile facilities (AMF). Note: During the April 5, 2019, annual call for proposals, the second ARM Mobile Facility (AMF2) is available. Before proposing a field campaign, principal investigators (PIs) should read expectations for principal investigators and review the ARM field campaign guidelines to ensure they understand all responsibilities and determine if their campaign fits the parameters defined by ARM. The guidelines also describe the proposal review process and timeline. Proposals are reviewed quarterly to annually depending on the size of the proposed campaign. Submit Fill out and submit the pre-proposal form. Wait Please be patient while the IMB reviews proposals. Respond A full proposal or science plan may be requested. Conduct Execute the campaign as proposed/approved. Close out Submit any data and a final report. To propose a campaign, PIs must first submit a preproposal. Read the field campaign preproposal instructions for detailed information on how to fill out and submit the preproposal form. The initial review of preproposals and responses to PIs will normally be communicated within four weeks of submission and may include requests for clarifying information, an abbreviated or a full proposal, and/or information regarding the review timeline. Before a campaign begins, the PI must submit an abstract, suitable for posting on the ARM website. Based on the scope the field campaign, a science plan may also be required. The PI should work closely with the appropriate site manager regarding mutual expectations during the execution phase of the campaign. Final Report – The PI is required to submit a brief, final report of the outcome to the ARM Field Campaign Administrator to complete ARM documentation. Download the template/instructions. Data Submission – The PI is required to submit the final quality-assured data for all non-ARM instruments to ARM. ARM should be acknowledged in publications as the origin of field studies or data used in the research. Investigators who receive ARM support (e.g., logistical support for guest instrument deployments or ARM mentor support) should also properly acknowledge the Office of Biological and Environmental Research (BER) and ARM.